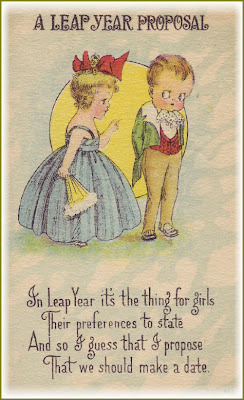 Page from a very old book, making a point on the oddities that can be expected on a "leap year". So cute and so male-chauvinist! Found at a "Support for Learning" site.